Look... I shouldn't have to state the obvious....It's winter. I don't care what the calendar says winter has arrived and it is cold. Big time. Some parts of the country have already received record snow, like Buffalo, NY, which was buried under seven feet of the stuff a couple weeks ago. With the cold weather closing in around you, you've got two choices. You can buy a stylish, even "tactical" coat that will also keep you warm, like a good American. Or you can freeze to death like a Communist. Yes, that's right: Only Americans deserve to stay warm. Communists can freeze to death, and will, because by definition they will wait for some commie comrade to provide this coat. But you're not a Communist. You're a red-blooded, patriotic American, who has the smarts and gumption to provide for himself. You need to have this coat, my friend. You not only NEED to have this coat, you *deserve* to have this coat. In case you have been living in a cave (or in your Russian 'dacha', you commie pig) and are unfamiliar with the product line, let me introduce you to the BA Softshell Jacket, part of the Propper LS1 collection. It's great for every day cold weather living and features an athletic cut, concealed badge panel and warrant pocket, bicep pockets with zip closures, and a hook-and-loop patch for the morale patch of your choice. There are also hand-warmer pockets and two perpendicular pockets at the rear. 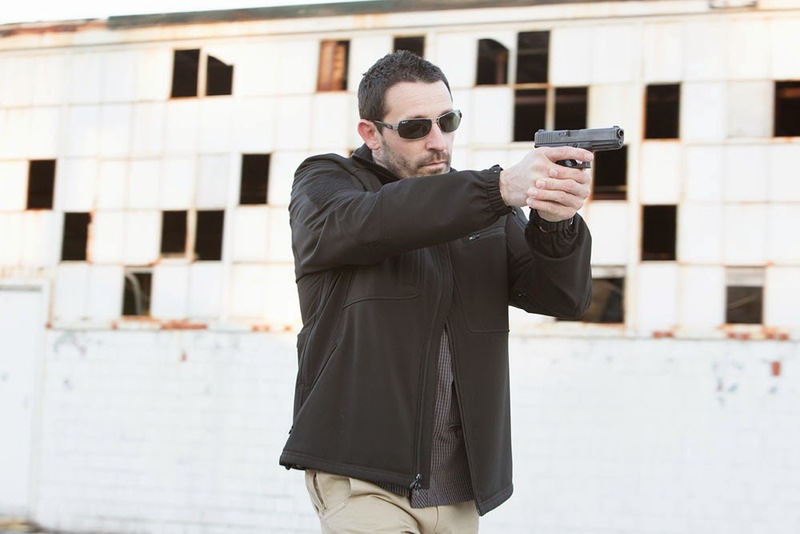 This is a high speed, low drag military and law-enforcement style coat that looks good on anybody but offers the performance that professionals (and Americans) require. We're not sure, but we *think* it will automatically constrict to strangle Communists should one sneakily put on your coat, too. If you doubt my word, 'Google CIA Operative' and 'Propper BA Softshell' Jacket. See? Nothing, right? Point made. That's how clandestine this coat is. It's so tactical, you didn't know about it before today. Buy this coat. Or, you know. You could just freeze to death with the rest of the Communists.